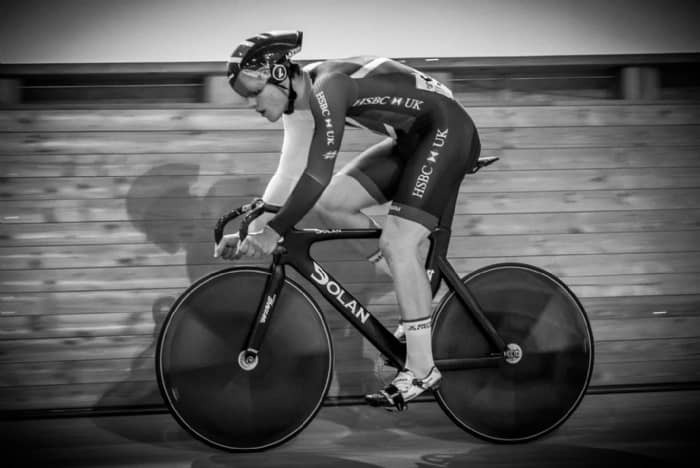 I felt like my race season had just kicked off and suddenly my second biggest race of the year was upon me, the Junior European Championships. It would take place in Anadia in Portugal. I had never been to Portugal before so this was a chance to experience somewhere new. To say I was excited for this would be an understatement. I had the chance to showcase all my training, racing and hard work in a world class field. 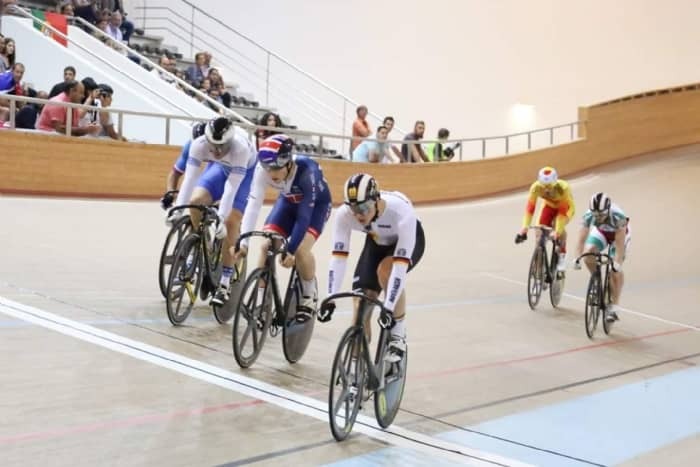 The events I would be riding would be team sprint, sprint and keirin. The week before we had a preparation training camp in Manchester before we flew off to Portugal. 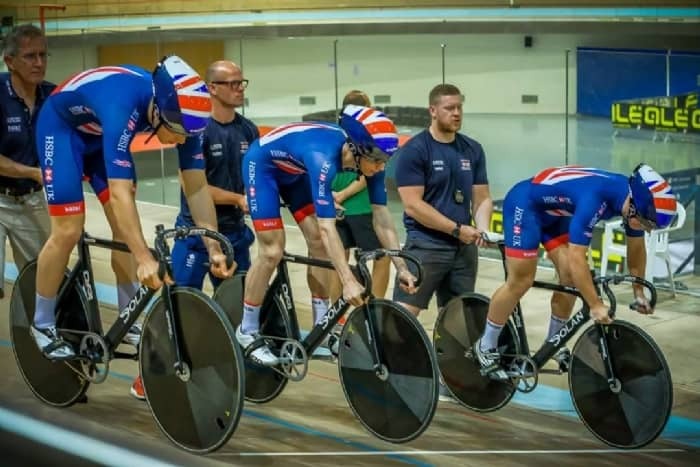 This gave us the opportunity to fine tune our team sprint and make sure we were fresh for racing. Everything went well during the week so I was really looking forward to racing. We were due to fly out on the Saturday but unfortunately the airline had other ideas and decided to cancel our flight after it failed to arrive at the airport! Luckily the next day, two flights and a 2 hour drive later we made it to Anadia. It was Tuesday and racing had begun! The day started off with team sprint qualification and we warmed up ahead of our race. Our team consisted of Alistair Fielding and Hamish Turnbull and myself. Last year in this event Hamish and I won a bronze medal. This time, instead of eager Ali going early, it was the gate as it released before 0. Regardless, when the countdown hit 0 our team sprint was off to furious start, Ali did a great standing lap but the dodgy gate meant there was more in there. Hamish did a flying lap and I could finish it off well. We posted a time of 46.1, we were aiming for a sub 46 so were a little disappointed, but we had another ride to make improvements. In the second ride in the 5th place ride off the dodgy gate didn’t phase Ali and he had a blistering start. Hamish followed through with a fast lap and again I finished it off. We posted a time of 45.9 and we were over the moon, this was also a new British record. A great end to a great day. My next race was the sprint. Firstly, I had the flying 200 qualifying to seed me for racing. I qualified with a PB of 10.59, which made for a good start and qualified me 11th. In the first-round I was against someone who qualified faster than me, so the odds were stacked against me. Fortunately, I rode a good race and managed to beat him and was in to the quarter finals. I would be against a much faster qualifier from Russia who you could mistake for a 30-year-old man. I tried my best against him, but it wasn’t enough and he knocked me out. I finished 8th in a very tough field. My last race was the keirin, this is my favourite individual event. 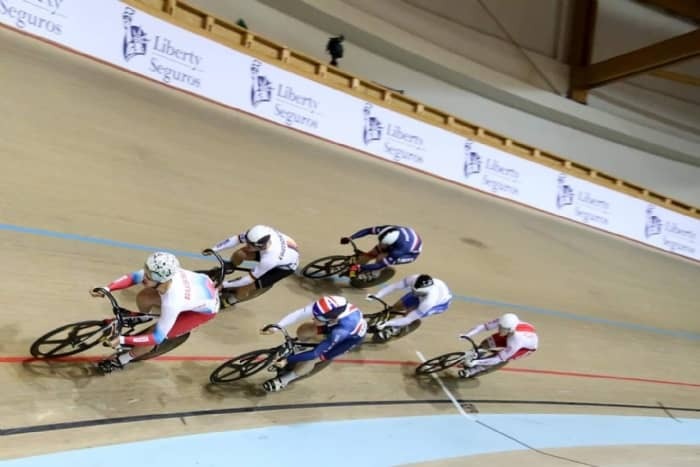 Last year I got 7th in the keirin. In the first round two riders get through. I had a tough heat but had a good chance of getting through, I rode well and managed my effort and placed 2nd. I was delighted to have a place in the semi-final later in the evening. I had a very difficult semi, but it wasn’t impossible for me to get through. One of my main goals for the European champs was to make it into the keirin final. In my heat there was a Russain, who earlier in the week won the Kilo, so I knew his wheel was the one to be on. I led it out, he came over and that was my ticket to the final. I sat on his wheel and he rode me to the line, I had a place in the final. I was chuffed already so any place in the final was a bonus. In the final, I rode a bad race and struggled to commit to any move which resulted in me placing 5th. I wasn’t disappointed with my placing, just how I rode the race. The European Championships was a great week for me filled with lots of success and lots of development. I thank British Cycling for the opportunity and I’m looking forward to racing the World Championships in late August. My next blog will be the British Championships in early August. If you missed them, I have more blogs on the Braveheart Cycling Fund website! Make sure to read them!